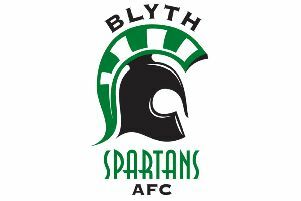 Departing Blyth Spartans manager Tom Wade has thanked the supporters for the “special” moments they have shared during his time in charge. Having made the decision to step down from his job last week, Wade revealed that despite his fantastic achievements during his time at Blyth it was the bond he had built up with supporters that he really cherishes as he leaves Croft Park. And Wade, who will be succeeded by former Stockport County, Middlesbrough and Ipswich Town striker Alun Armstrong, looked back at his time at the club following his last game, an unfortunate 3-4 defeat at Corby Town, and pinpointed the start of his “love affair” with the Spartans supporters to an impressive result back in September 2013. “It’s really special as the time it all started was Witton Albion away,” he said. “We were down to nine men and we managed to get a win thanks to Robbie Dale’s penalty. We also saved a penalty as well and the lads were collapsing on the pitch with cramp by the end. “The Cannock lads and the Coventry lads were there and that love affair happened then. They shook our hands, gave us hugs and we really embraced the supporters. “That’s what has made it so special for me. The way that we have embraced the support and not just having it where they support us and we clap them going off the pitch. “We started doing things differently from that point. We embraced them and we speak to them, to really make them a part of the club, as we did with the fantastic home support as well. Wade’s love for the Blyth fans was also reciprocated at Corby, with the Cannock Spartans opting to thank him for his service to the club with a commemorative hip-flask. The former Blyth gaffer revealed he was humbled to receive the gift, especially from a set of fans that he feels he owes so much too. He ssaid: “I was never expecting anything like that. It’s pretty humbling for me as I’m a nobody from Blyth, so for people to appreciate what you do is just massive. “For them to spend their time and put themselves out to buy you something is really humbling. I had to fight back the tears and that as they’re really good lads and they’ve looked after me and Matty, when our Matthew was going through a really bad time. “We played Rushall a couple of years ago and they pulled him off the bus. He was virtually going to wrap it in, but they got him off the bus and they made him feel special. Even though he had stood down on Thursday, Wade showed loyalty to aid his former assistant manager Neal Hooks at Corby after Armstrong was unable to make the game due to previous commitments with the Middlesbrough coaching job he has left to take up his place in the Spartans dugout. However, it was a day of mixed emotions for the 57-year-old as he struggled to avoid taking charge for one final time. Wade added: “It felt strange at the final whistle. It was a surreal day as I took a backwards step for the first time ever and let Neal take the team and pick the team. “I found it hard not to act as a manager and I have to keep remembering that I’m not the manager any more. It was a hard day for me actually because you want to say so much but you can’t. “Neal did a good job and nearly got his first result as a manager, but it was really a funny day for me and it’s probably best that it’s over now as people can get on with the job again. “It’s hard for me to pass the baton on, but I have to. It’s going to be massively hard for me as I’ve been involved in football for the last 16 to 17 years, so it’s going to be tough for me to break away and not manage anybody. Having been relegated from the Conference North the season before he took over, Wade admits that the club was in dire straits when he took over the reins in March 2013 following Paddy Atkinson’s resignation. However, he was hopeful that he had achieved what he had set out to do during his three-and-a-half years at Croft Park. He said: “When I took over, I thought the club was in a bad state. I took over for the last quarter of the season and we finished 17th, which wasn’t good enough. “To be honest, for me as a Blyth supporter it wasn’t where we should be and the remit was because we didn’t have much money at that time to put some pride back into the club and try to develop a team. “I know I’ve developed a good side but, hopefully, we’ve put some pride back into the town as well as the club. While many supporters will have their own highlights from Wade’s time in charge, from the famous run to the FA Cup third round in 2013-14 to their first Northumberland Senior Cup win in 21 years, the man himself chose a different moment that he thinks tops the lot. He said: “It’s funny, as my highlight would have to be Witton away. That was the start of when I knew we had something special and I we knew we had people that we could develop at the club. “We knew the support was there and, as a starting point, that really was special. “Obviously, the Hartlepool game was something you dream of and it never happens, but cup runs happen when you least expect them. We didn’t expect anything from that season as we saw it as another season of growth. “Had we had a little bit more luck, we’d have ended up in the play-offs that season as well. We’d had a cup run before that, but then the club had to fight against relegation afterwards. Every change in management presents an upheaval both on the pitch and behind the scenes, but Wade believes that his decision won’t affect the players too much as he’s backing Armstrong to lead them to Evo-Stik Premier League glory this season. He said: “The lads have been fantastic and they’re a great group of lads, in my opinion. I know we’ve had a few blips with the last few results, but I still think they’ll win the league. “There are still special times ahead from this side. I said to the lads after the Corby game that this is just the end of a chapter and there next chapter starts now. For a man who has almost a full catalogue of highlights to chose from, Wade couldn’t help but think what might have been after he was unable to return the club to the Conference North during his tenure. Wade admitted: “My only regret was not investing at the right time, but we didn’t have the money. I do think that had we invested in the cup run season or the season after that, we would have won the league. “It was just a lack of investment at the time, but people have to understand that you can’t do that if you don’t have the money to invest. “To be so close but not get us over the line is a massive regret for me, because that’s what you live for. You live and die for promotion and the club should be in the Conference North. “The club getting relegated was the biggest travesty in the world and they should never, ever have been put in that position to get relegated. “To be honest, had we gone up and kept the team we have now, we’d have pushing for the Conference National. Following Saturday’s last long trip to Corby, Wade is now left with free weekends for the first time in nearly two decades. However, the Spartans supporter insisted that he will still be a familiar face on the terraces in future in an effort to fill the void his decision has created. When asked what his plans are for his free Saturdays now he has stepped down, Wade joked: “Probably a bit of shopping! No, if there’s a Blyth game on, I’ll come and watch. “It’s important as I’m still a supporter. I’ll be coming along to watch, and obviously our Matty still plays for Blyth, so I’ll be coming to watch him and the rest of the lads as well. “It’s going to be tough for me, because I’ve always been involved in football. I don’t know what I’m going to do, but it was the right decision to make for me.